Please have your toters out by 6:00 AM on your collection day. Please note: The City picks up refuse on all holidays. 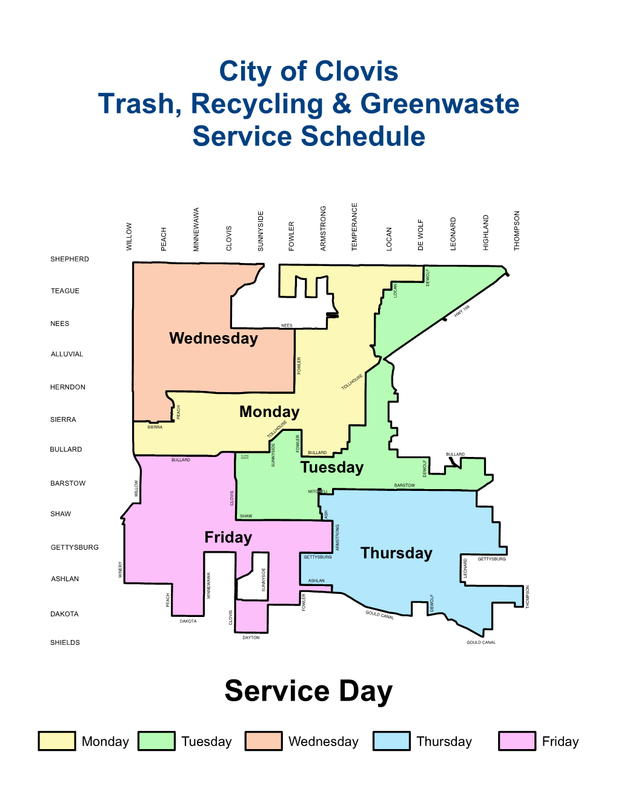 If you have questions or problems related to your refuse collection, please call the Solid Waste Division at (559) 324-2604.